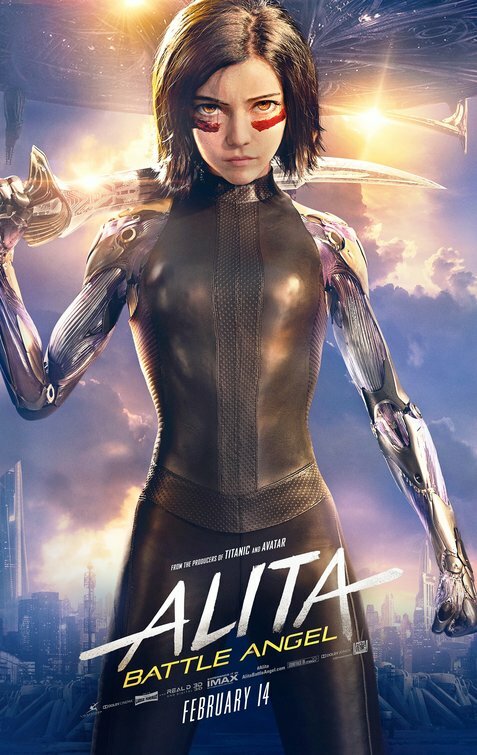 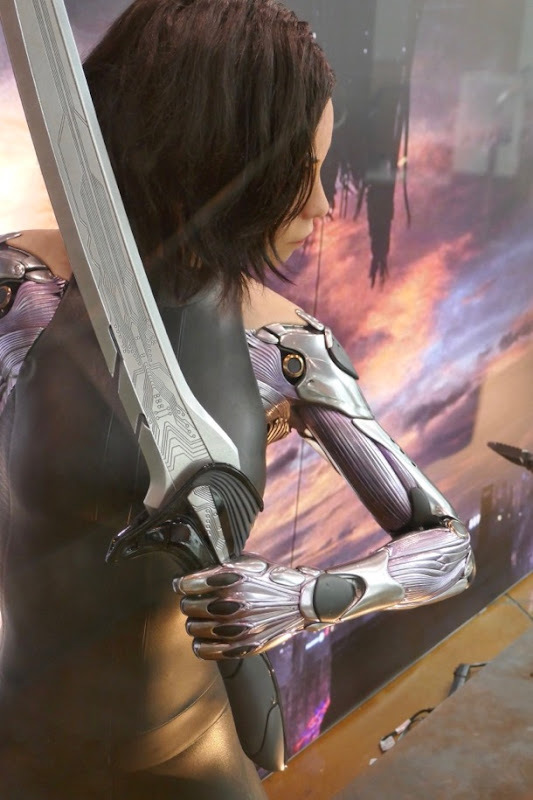 This year director Robert Rodriguez brings us a live-action adaptation of Alita: Battle Angel, based on Yukito Kishiro's Japanese manga Gunnm, with Rosa Salazar as the titular teenage cyborg heroine. 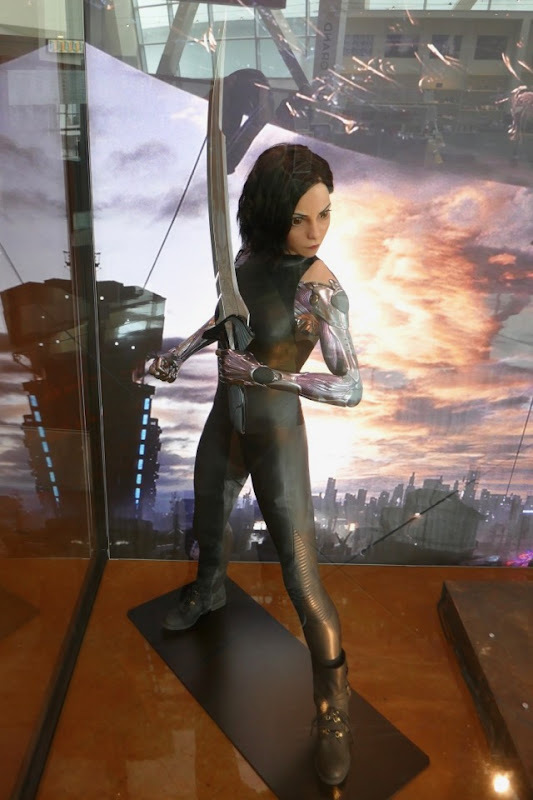 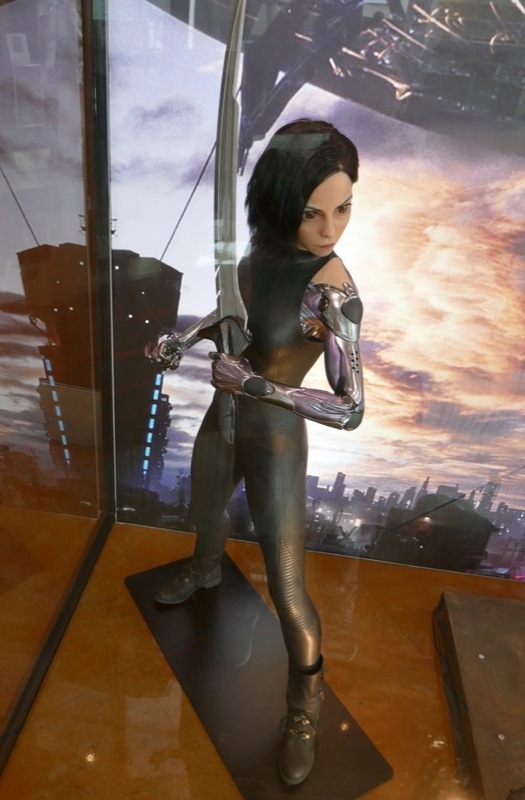 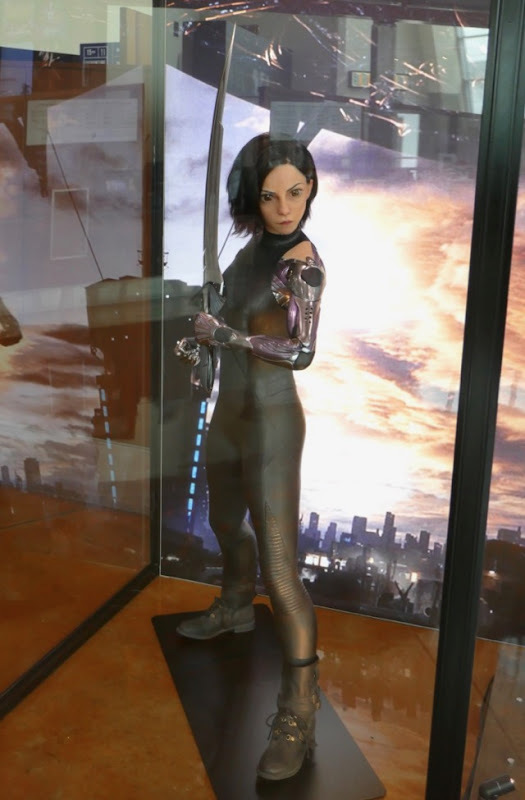 The cyberpunk story is set in a post-apocalyptic future were an abandoned 'Alita' is found in a scrapyard and is given a new robotic body by scientist 'Dr. 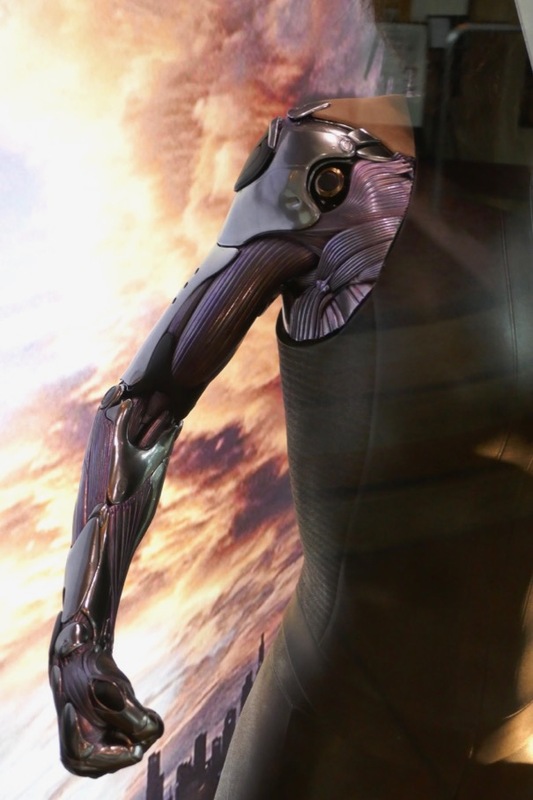 Dyson Ido' (Christoph Waltz). 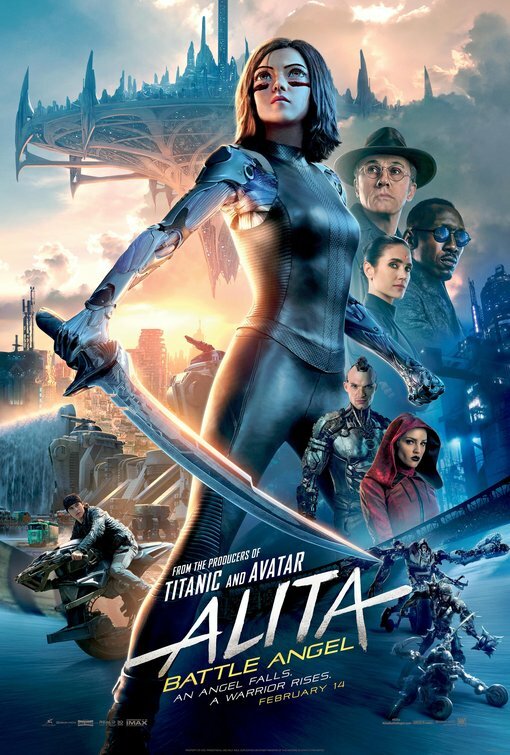 With a mysterious past and no memories, her new friend 'Hugo' (Keean Johnson) offers to help her navigate the treacherous Iron City as she discovers she has amazing fighting abilities in the Motorball arena. 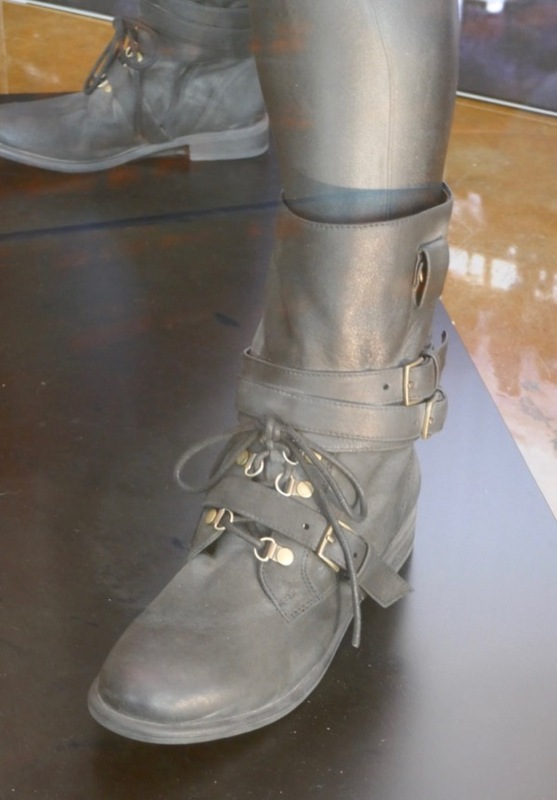 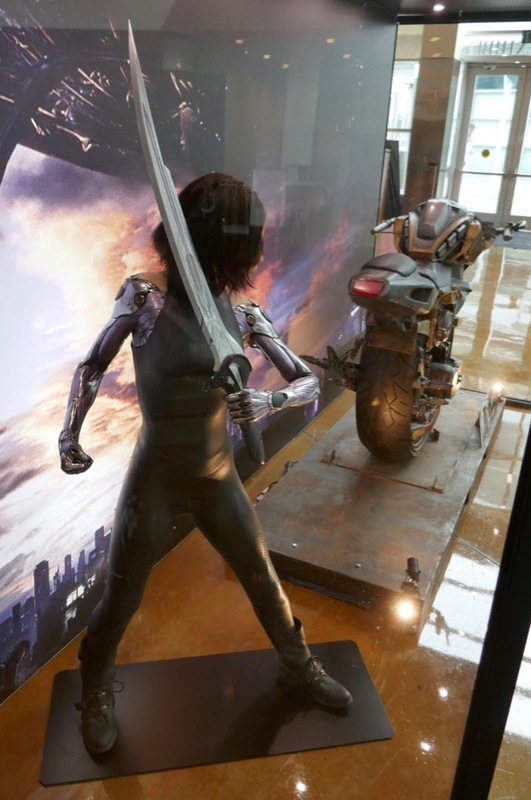 This cool movie costume and prop exhibit was photographed on display at ArcLight Hollywood cinema on January 15, 2019. 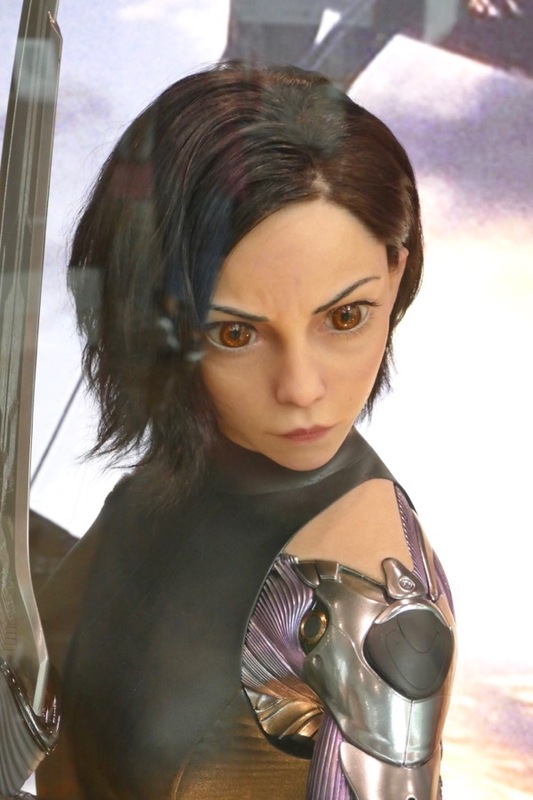 Nina Proctor is Costume Designer on the futuristic movie, although it looks like her costume was rendered by CGI and motion capture the same way her eyes were made to look impossibly bigger. 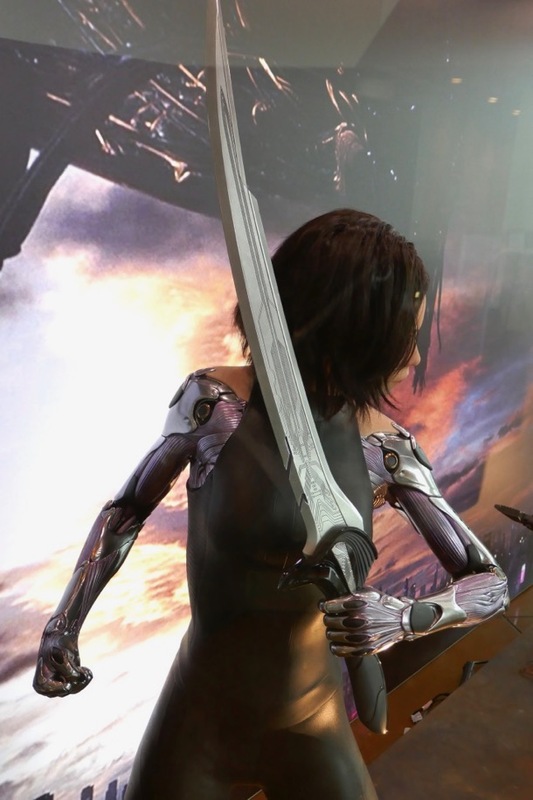 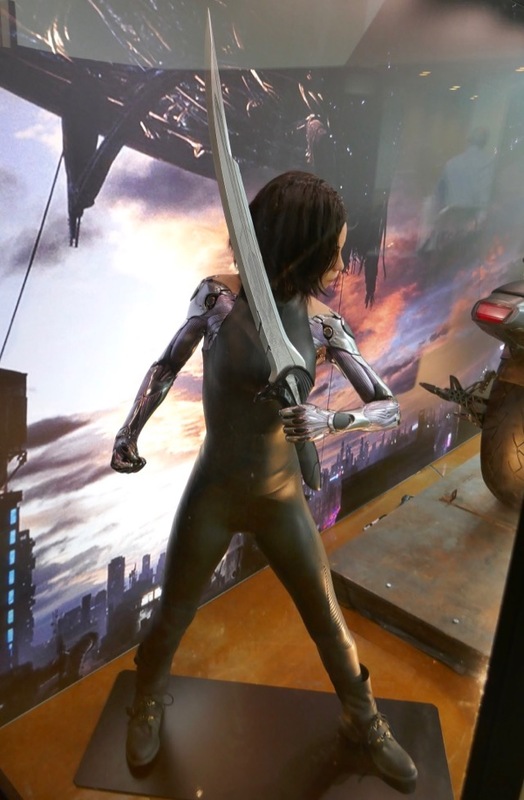 This looks more like a cinema standee than the actually costume, but the robotic arms and sword are great reference for fans and cosplayers. 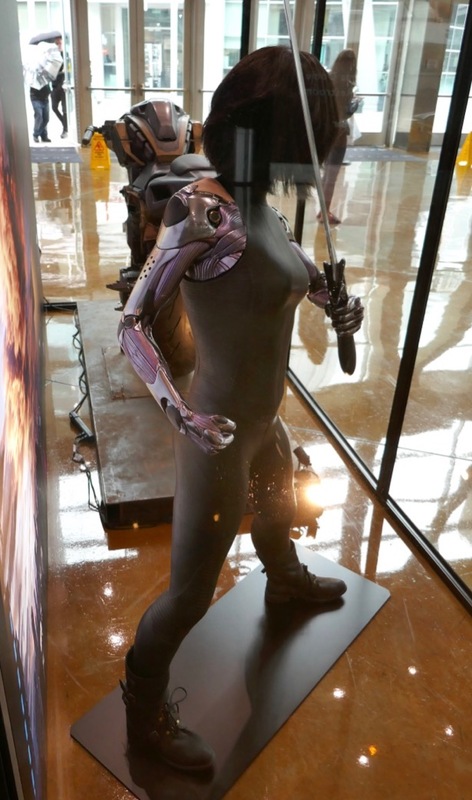 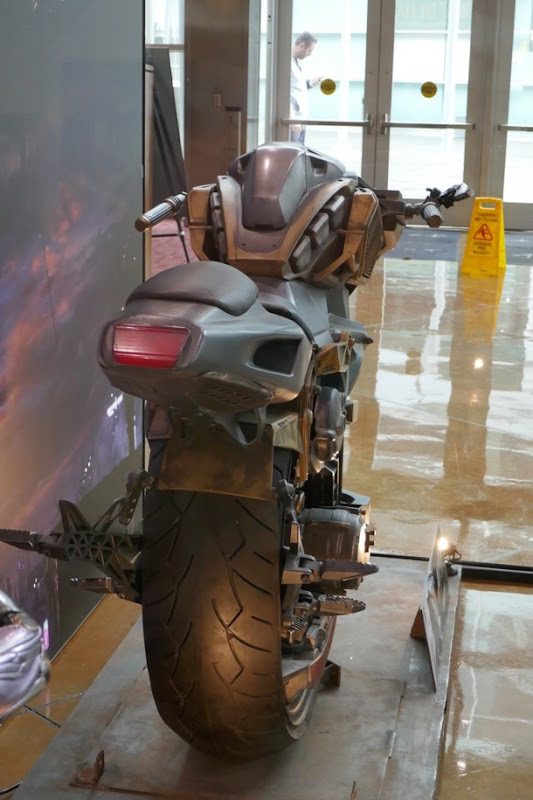 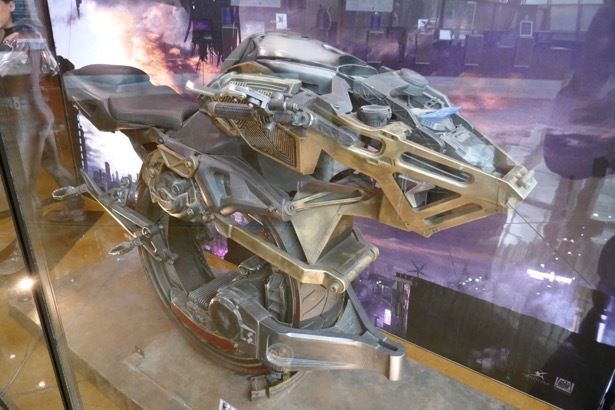 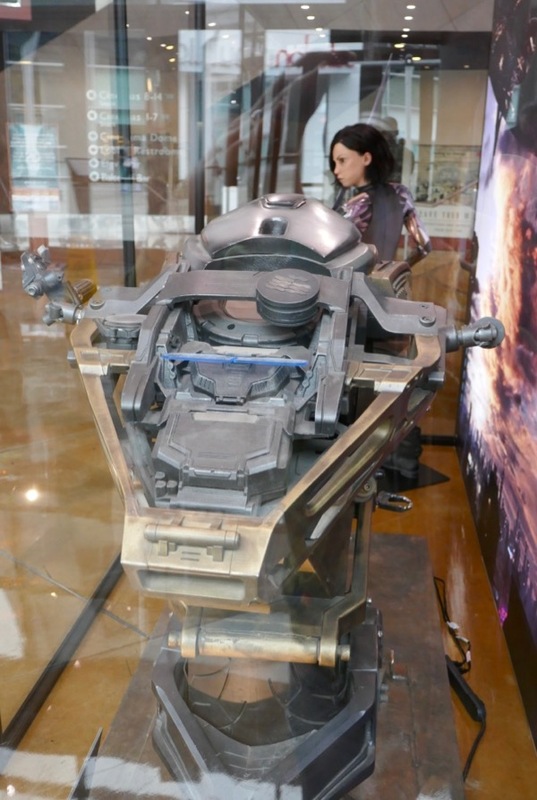 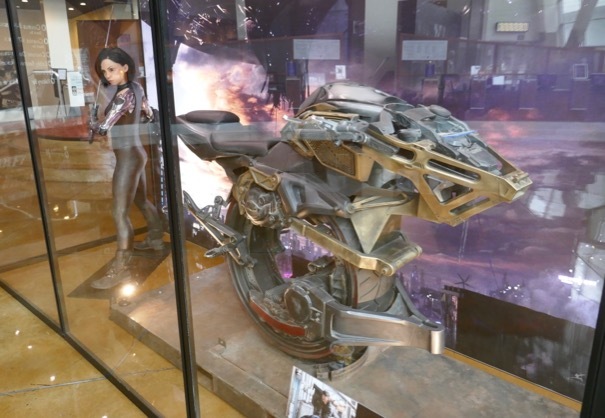 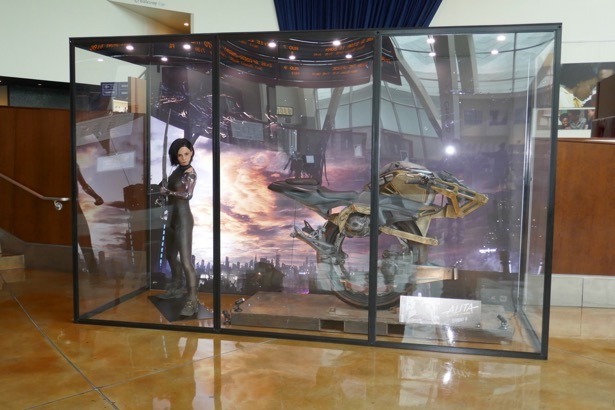 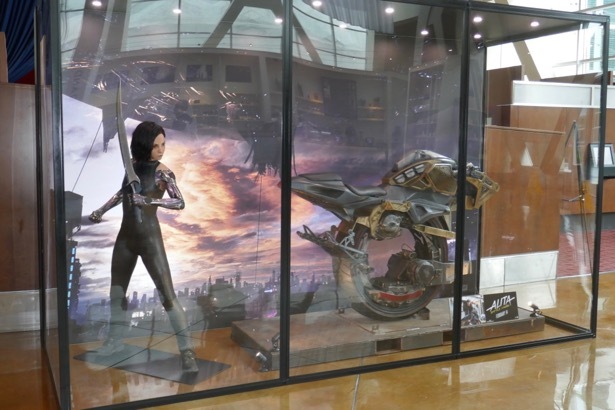 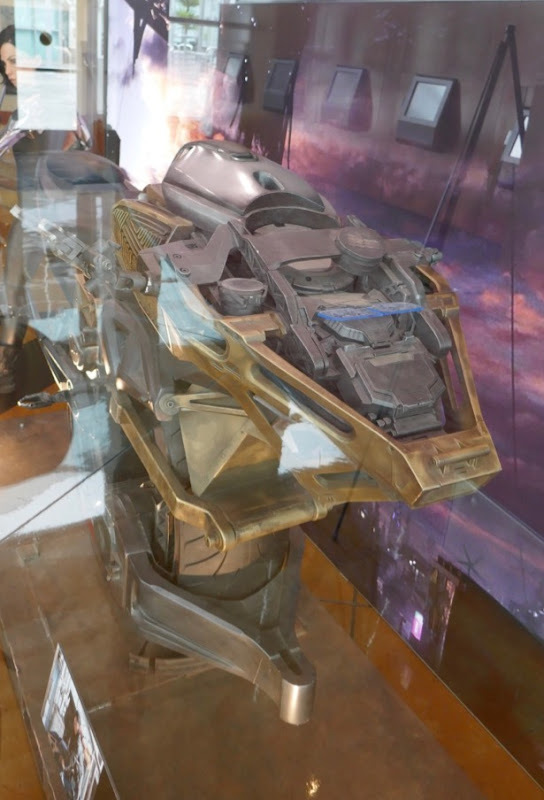 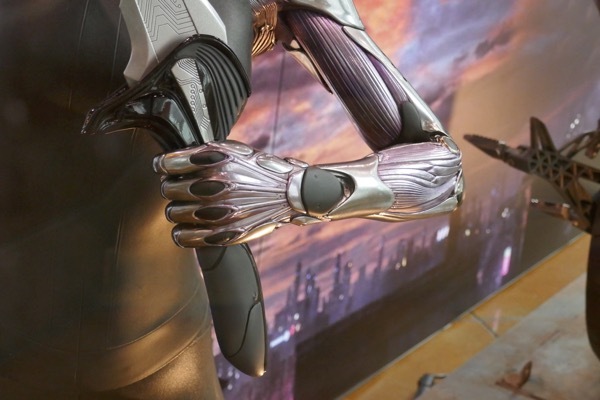 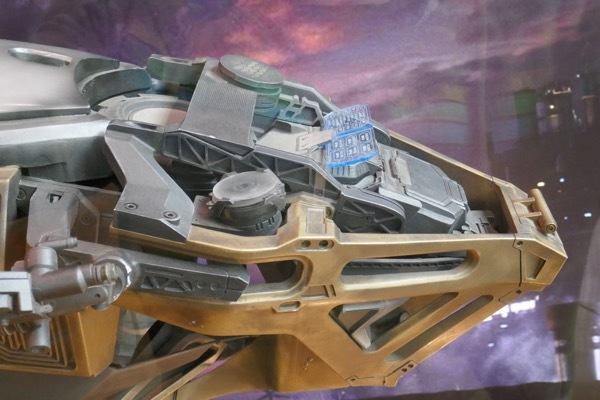 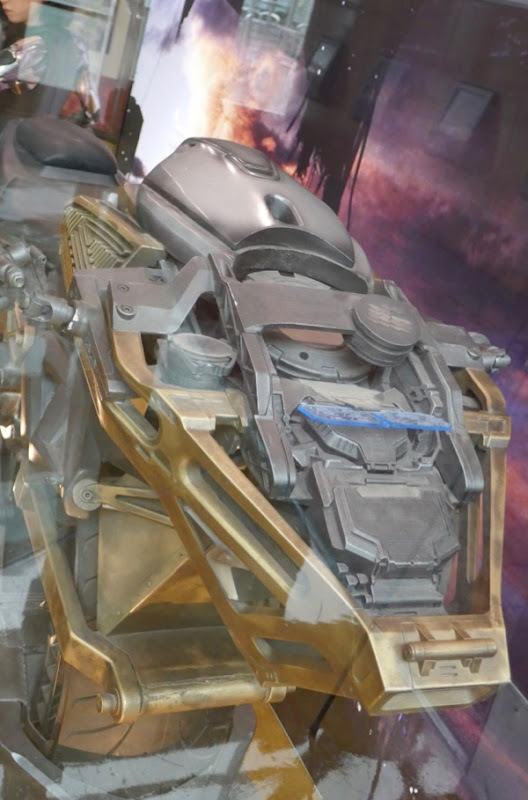 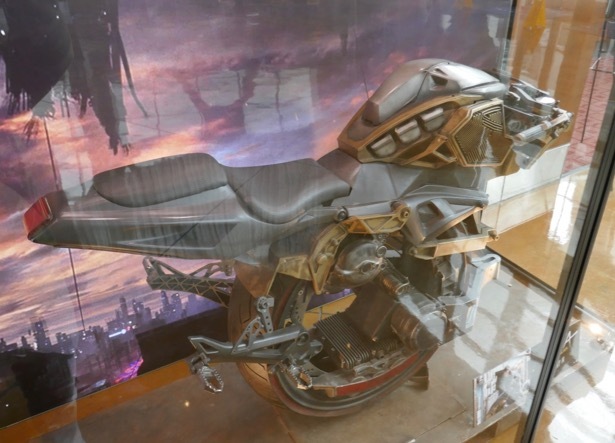 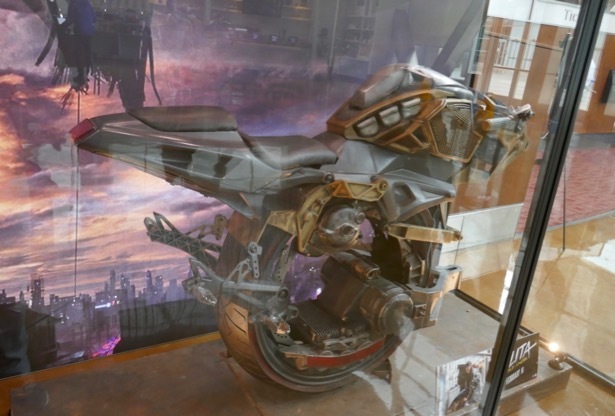 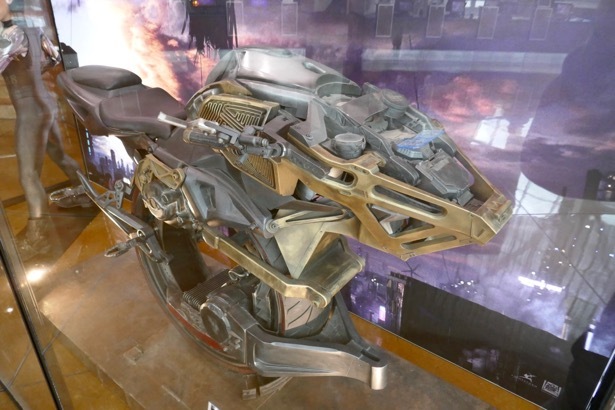 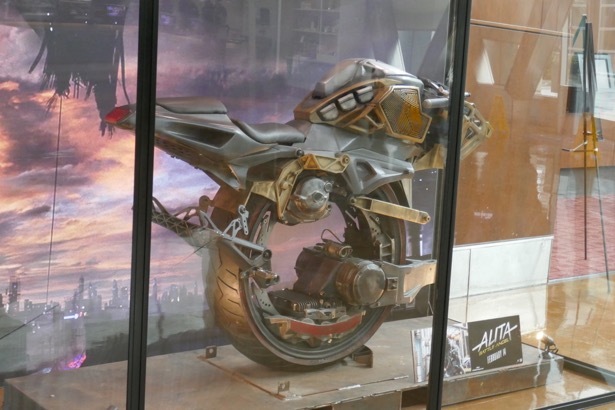 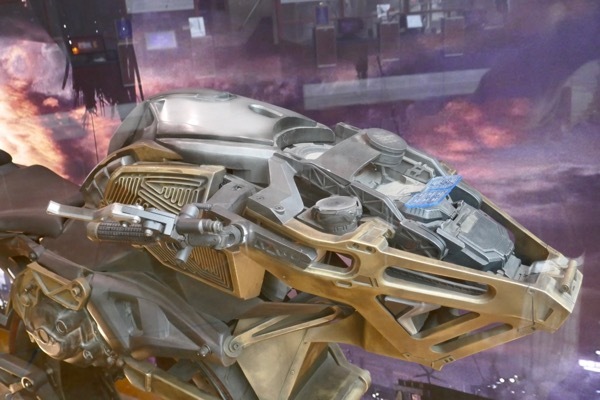 In addition to Alita, the exhibit also shines a spotlight on Hugo's futuristic gyro-bike from the movie. 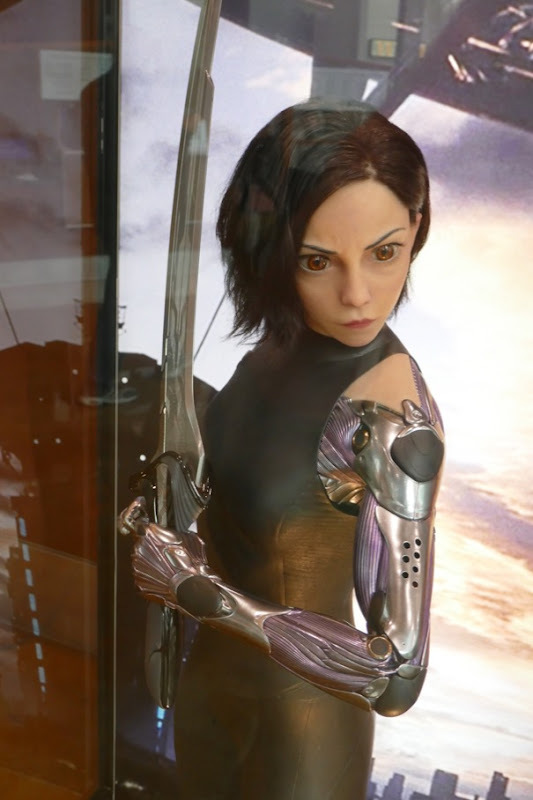 Let's see if Alita: Battle Angel can escape the whitewashing curse that plagued the live-action adaptation of Ghost in the Shell at the box office this February.